While I am at home cleaning and purging all the junk around the house in preparation for baby's arrival, I am also major crushing on some new items. 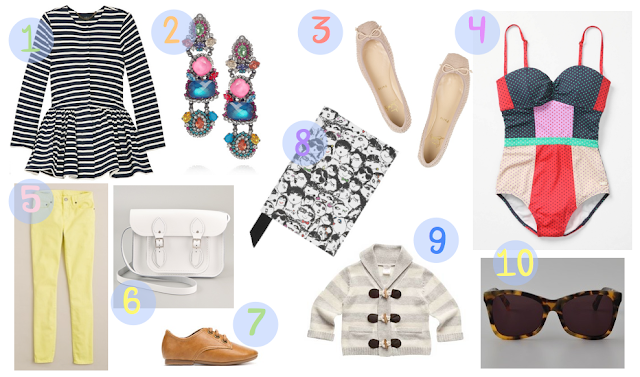 I could not help but make yet another spring crush board, because these items are simply to die for. I want it all! I am heading to a hair appointment today, despite still feeling a little sick-y. I am overdue for a pampering session. I figured it is time I framed my face with some side swept bangs. Yay for being such a trooper while growing my hair out. It is officially the length of a bob, and I simply cannot wait for it to get longer. always love a good ol pampering salon visit! Love this! Happy St. Patty's Day!